A beautifully crafted gift, designed to hold precious mementos close. This elegant 9ct gold locket is styled with a charming floral pattern on the front and finished with a fine chain to complete the feminine feel. 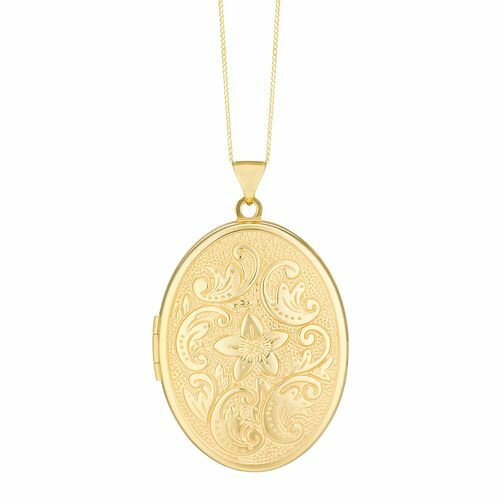 9ct Gold 23mm Oval Floral Patterned Locket is rated 4.0 out of 5 by 2.